April 2017 was a month that's full of exciting stuff in the Marina Bay area. There's Artbox, a Thai-themed flea market and festival along with the 'Remembering Our Founders' temporary exhibition held at Gardens By The Bay. Best of all, they're both free! Missed these two exciting happenings? No worries, here's more on the scoop. 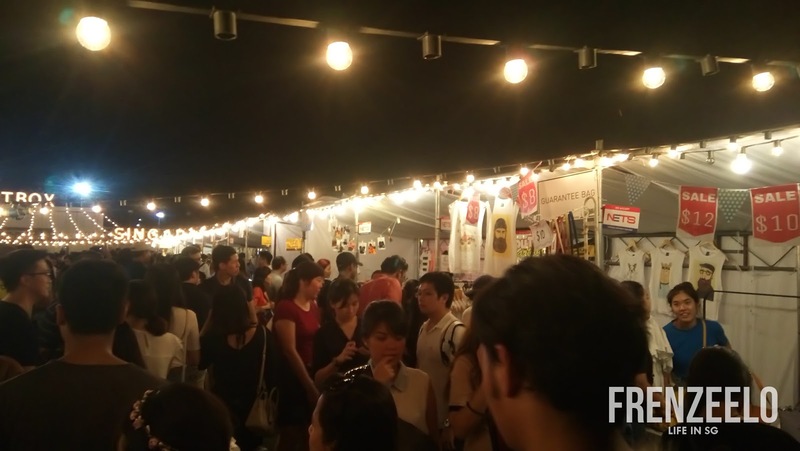 Based in Thailand, Artbox Singapore was a Thai-themed flea market that's popular in Thailand. It made its way here after overwhelming demand. 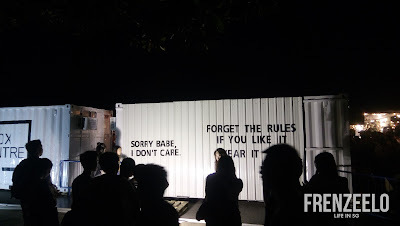 What attracts people to this unique flea market is the fact that they used shipping containers to house the stalls giving off that hipster vibe. 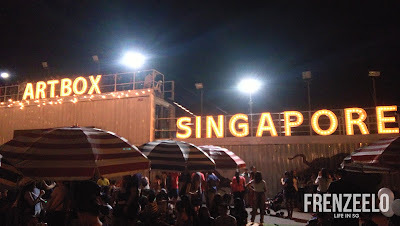 The "fairy" lights that were suspended on top of the shipping containers also added to that unique charm. However, due to logistical difficulties and cost issues, shipping containers were not used for the Singapore edition of Artbox. Instead, PVC partitions were used to separate each and every stall. It still did not stop curious Singaporeans from visiting the event. Artbox had lots of stalls dedicated to selling Thai street food like Thai Iced Tea, Pad Thai and those famous Coconut beverages served using real coconut. The appeal of these Thai street food and their appearances make them look social media-worthy which is why Artbox is popular among the tech-savvy youths. The flea market was also a great way for independent retailers to sell their wares and spread the word about their wonderful entrepreneurial spirit. Plus, with Artbox teaming up with cashless payment provider NETS, this makes it easier for customers to go cashless. 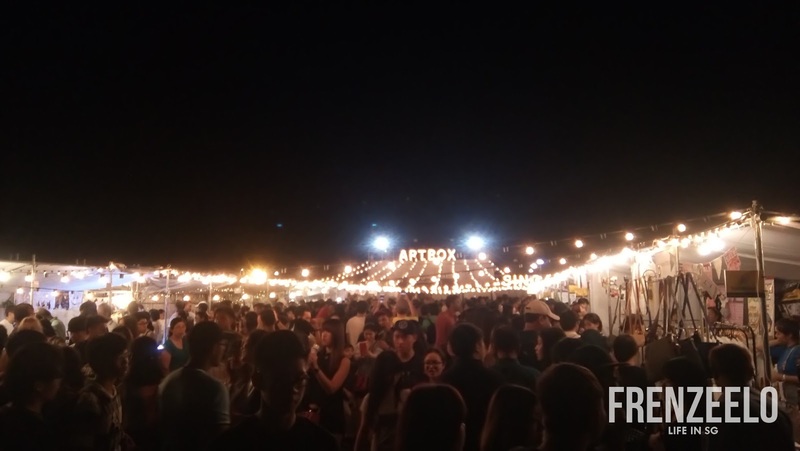 On the first weekend of Artbox, the organisers got themselves in a little bit of hot water. Patrons blamed the organisers for overcrowding which resulted in little space to walk and the fact that the organisers only occupied just a quarter of the big empty space. Things got better on the following weekend where two rows of stalls have been removed giving patrons more space to walk and a little more breathing room. The lineup of stalls were also changed giving it a fresh restart for the event. Another appealing factor of Artbox are the so-called 'writings on the wall' which were just youthful messages pasted on the Artbox container offices. They were popular among the patrons as it resonates with their youthful charm. 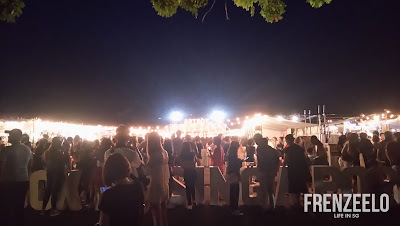 Together with the bright lights that were decorated all around, the whole atmosphere gave off that indie and hipster vibe popular among today's youths. 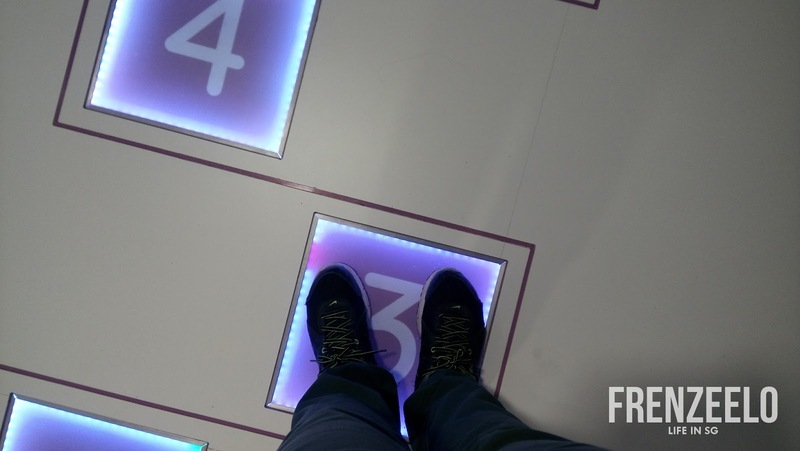 It's easy to see why the event is so appealing among youths and the young at heart. 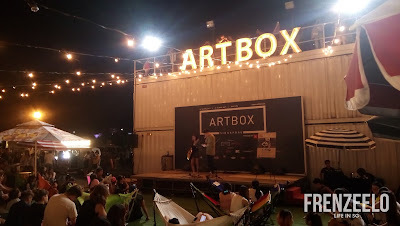 Patrons of Artbox could also help themselves to some entertainment with a variety of free performances led by local and international artists. Another bonus was that the whole area was made to look like a lawn with beach chairs and beanbag chairs placed all around for the comfort of the audience. If you spent a little more money at the event, you could have a chance to climb up a platform right behind the stage and catch amazing and beautiful views overlooking the whole flea market and the backdrop of the CBD area. With its bright lights and fairy lights everywhere, it's no wonder many of them were willing to spend to get onto the platform. 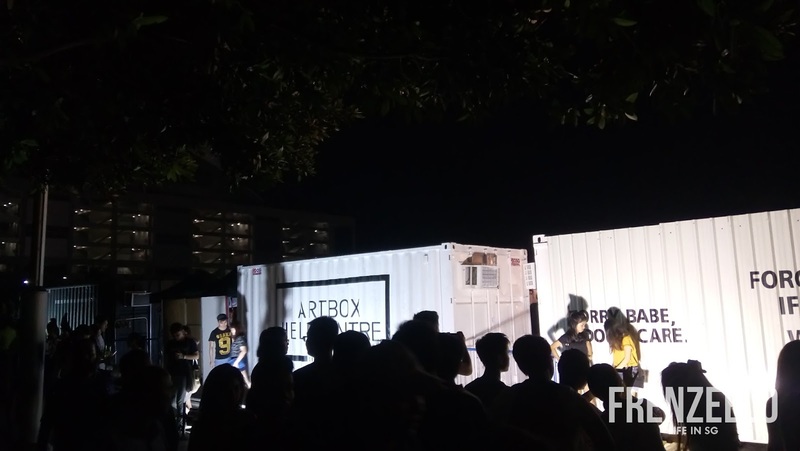 Although Artbox Singapore was not the same as the one in Thailand, it was still a popular event over the two weekends it took place. 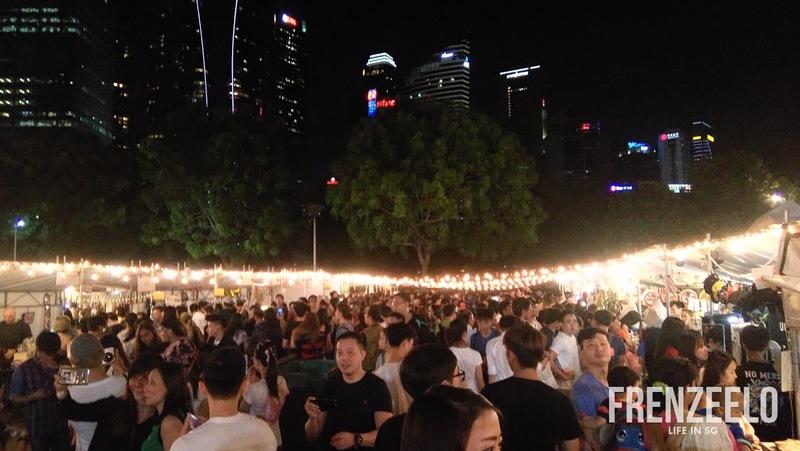 Definitely an interesting event for those who wanted to try something new and with the hipster vibes all over, it's no wonder it's popular among Singapore's youths. What is the Remembering Our Founders Gallery? 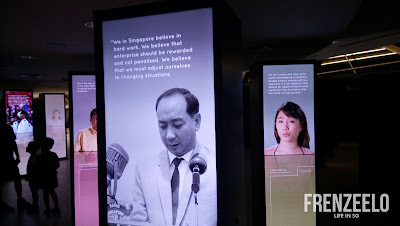 After the short trip to Artbox, we made our way to Gardens By The Bay to check out the 'Remembering Our Founders' temporary gallery. 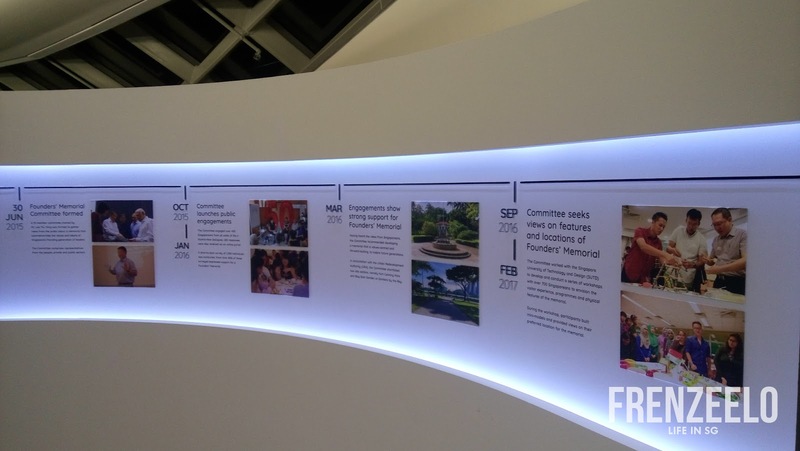 Basically, it's a gallery to gather feedback and spread the word on an upcoming permanent memorial about all the great contributions our founding fathers have contributed to our country. Located right below the Flower Dome of Gardens By The Bay, the temporary gallery was opened to everyone and admission was totally free. 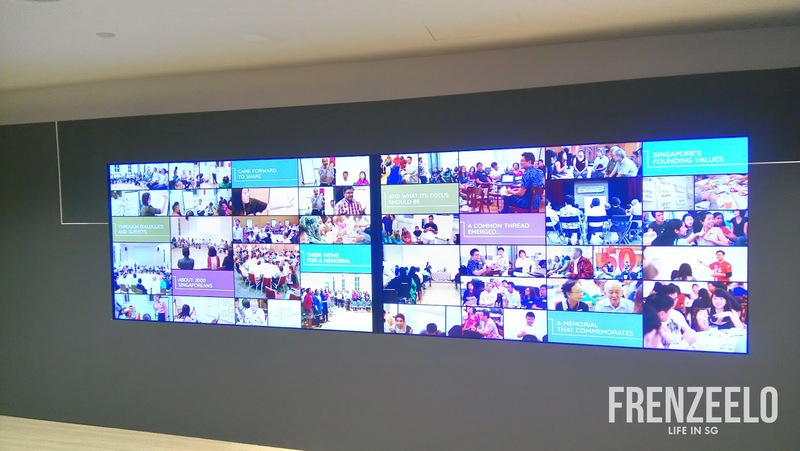 Visitors were greeted with a wide variety of interactive galleries, video displays and activites for children. All these to remind visitors of all the great things our founding fathers have contributed to our country. 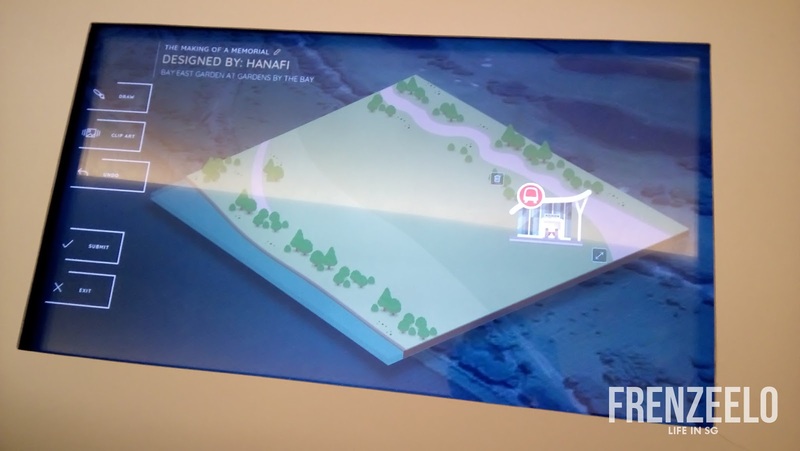 Visitors could have a chance to learn about the different contributions our founding fathers have made through the interactive touchscreen displays. 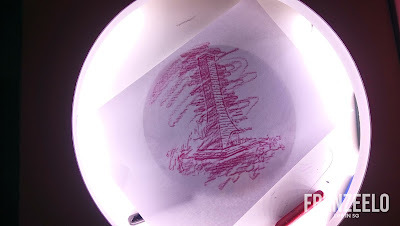 Quizzes were also available to test the visitors' knowledge on our founding fathers. A great way to gain more knowledge as well. 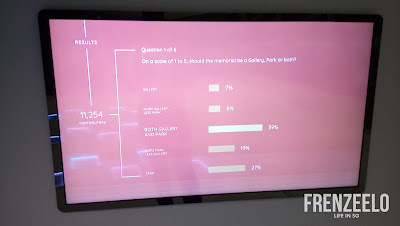 There was also an interactive survey which lets visitors give feedback on stuff like where should the permanent memorial be located at and what should the memorial contain? 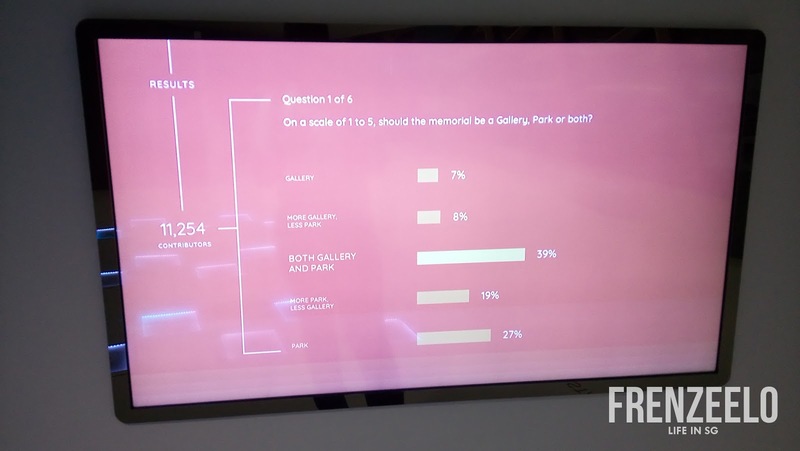 The interactive survey even show the survey results provided by other visitors too. 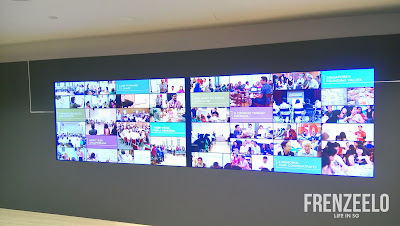 The gallery is also a child-friendly one with a variety of activities for children to learn and to contribute in a fun way. There's one particular activity where you could take a piece of paper and colour it on top a mould that represents a variety of shapes. Pretty cool indeed. 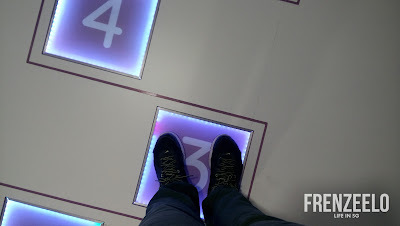 Definitely a great way for children to have fun and learn more about it as well. The Remembering Our Founders gallery was a great way to engage the public about the importance of nation building and the contributions our founding fathers have contributed to make Singapore a better place. 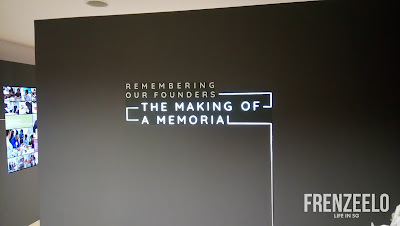 Making a permanent memorial definitely is a great way to not only educate the public about our founders but also to give our founders a proper place to thank them. Will definitely look forward to the completed memorial in the coming years. Overall, the Artbox and the Remembering Our Founders gallery were a great way to spend a Saturday back in April. 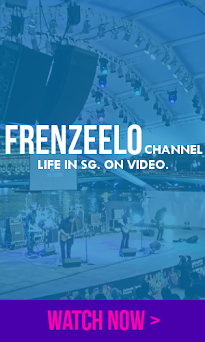 More exciting free events will take place at the Marina Bay so do check back the Marina Bay website for more info!